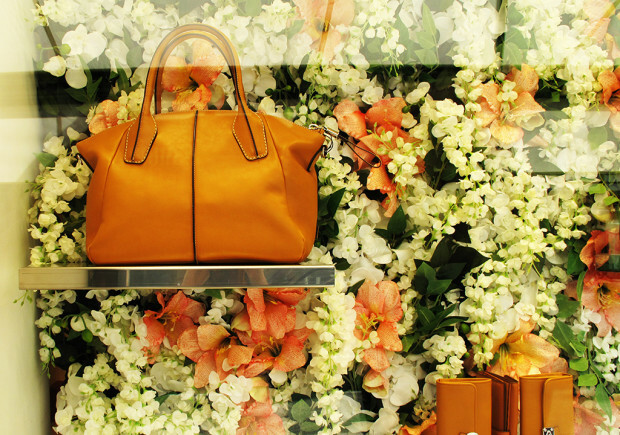 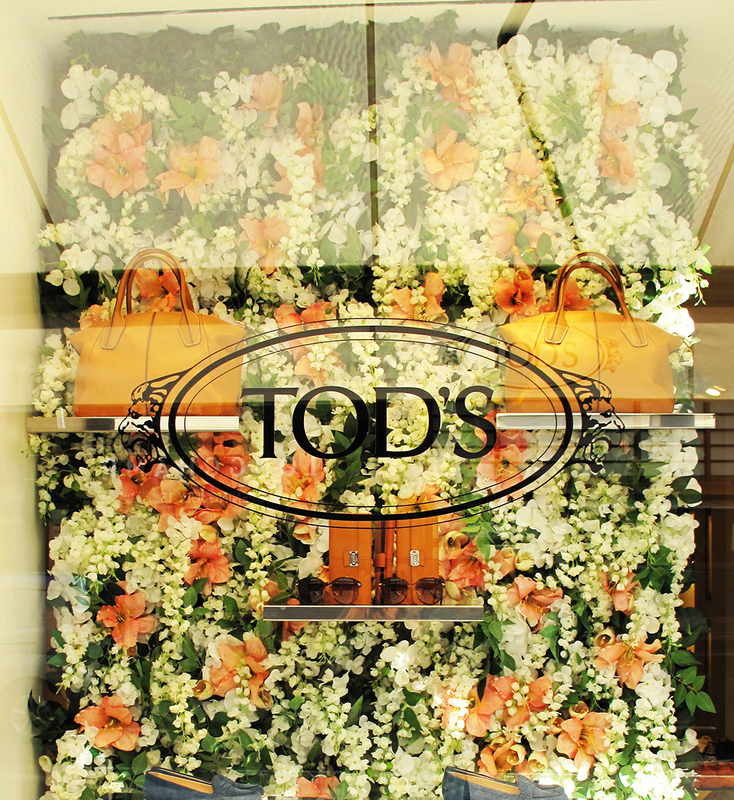 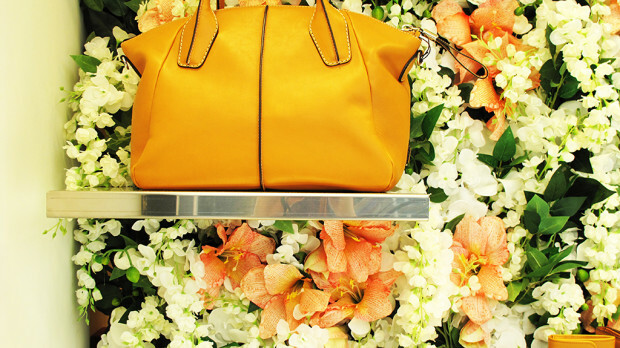 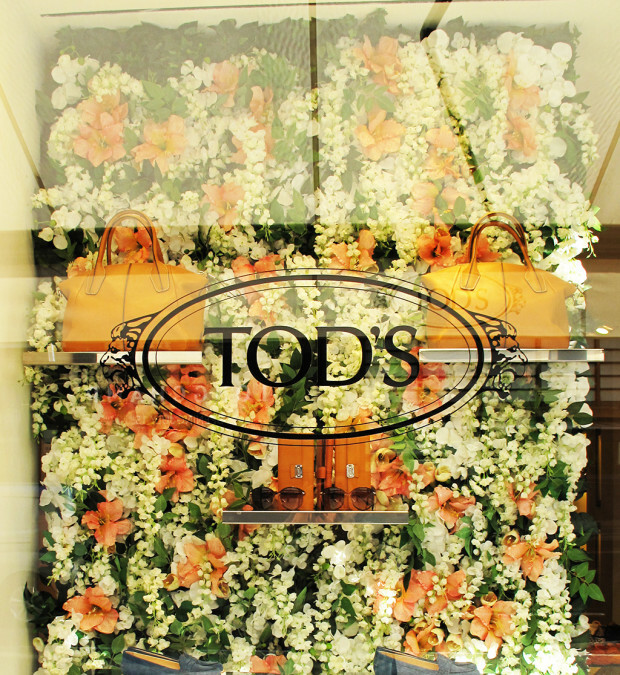 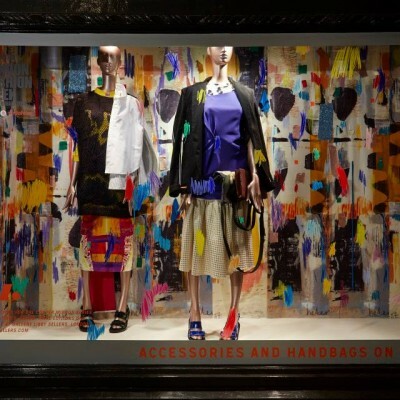 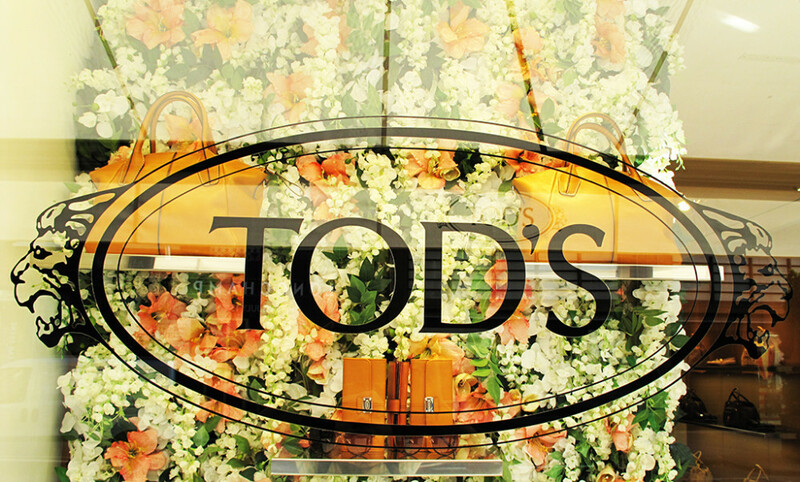 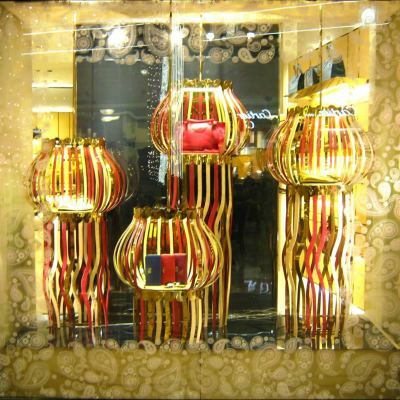 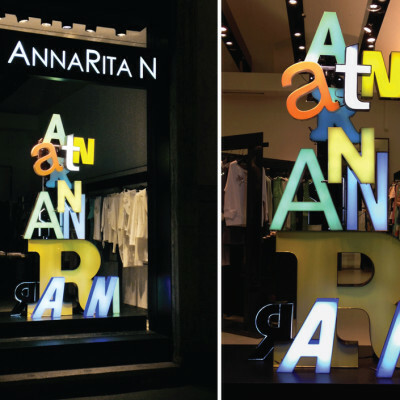 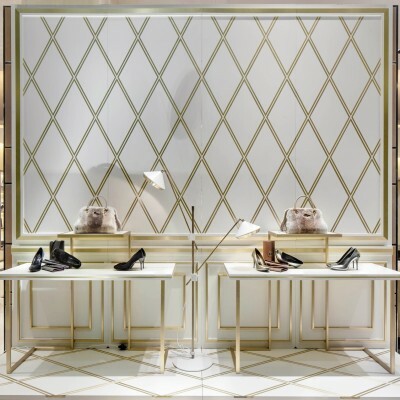 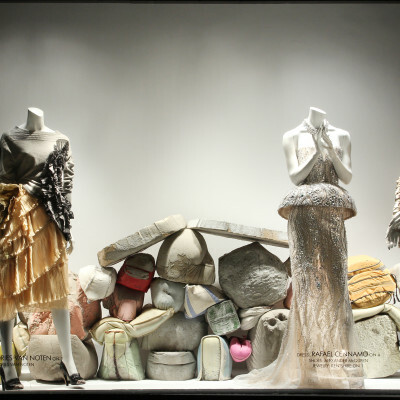 The Italian brand Tod’s produces luxury leather shoes, bags, small leather goods and accessories. 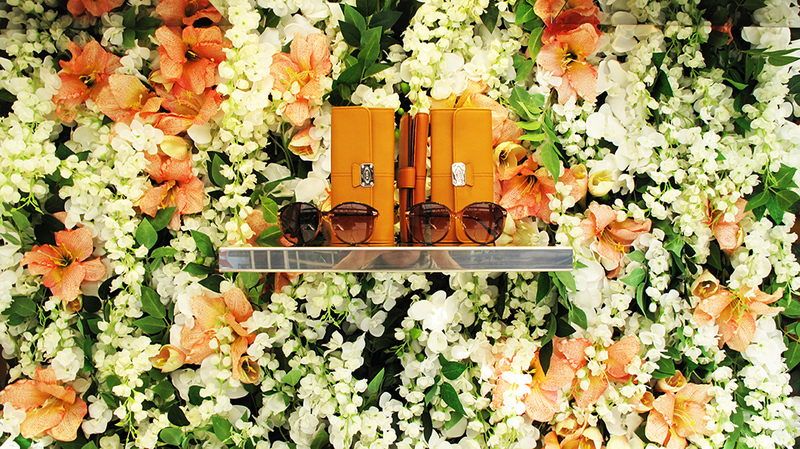 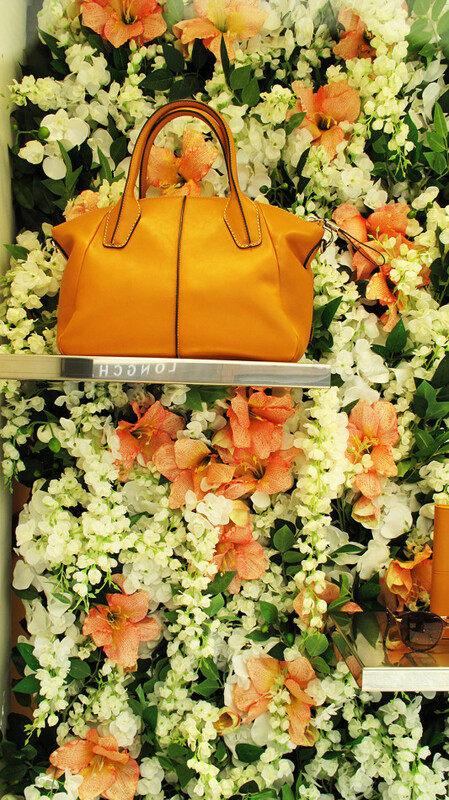 With walls created from flowers Tod’s get’s into the summer feeling presenting the D.D.Bag Medium Leather Bag, D-Styling Continental Leather Wallet and Sunglasses. The D-Styling Continental Leather Wallet and Sunglasses. The D.D.Bag Medium Leather Bag.